EAGLES ‘PHILLY PHILLY’ BUD LIGHT BOX SET AT BELL BEVERAGE AUG. 16! 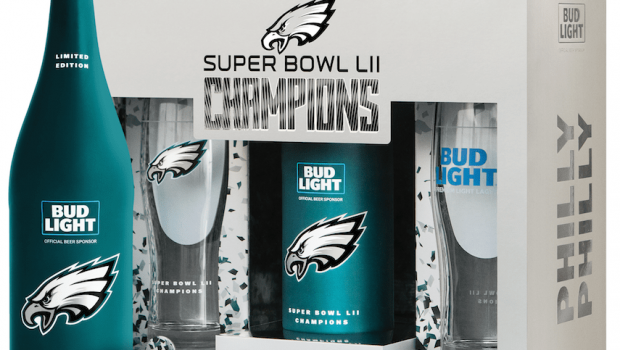 Bud Light is offering a limited edition of its Eagles Super Bowl LII Champions “Philly Philly” box set. And they’ll be on sale at Bell Beverage at 2809 S. Front St. in Philly on Aug. 16, when the Eagles travel to play their Super Bowl victims, the New England Patriots, that night in Foxboro. 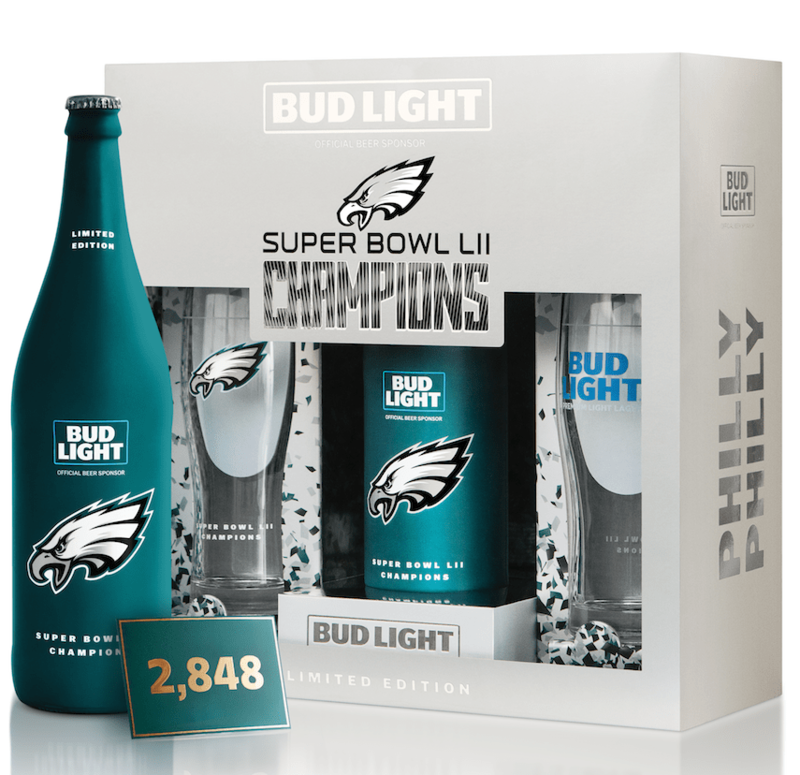 Each pack will be individually numbered and includes a 25-ounce Bud Light aluminum bottle and two glasses each etched with the “Philly Special” play (where Nick Foles racked up a touchdown). Only 20,418 of these sets will be released, corresponding to the date of the Super Bowl win over the New England Patriots, with a chance to win tickets to this year’s opening game against the Atlanta Falcons at Lincoln Financial Field on September 6. Fans will only be able to find these Super Bowl commemorative packs in the Philly area starting August 16, delivered by special Bud Light “Philly Special” trucks. Previous WATCH EAGLES O-BOSS MIKE GROH’S THURSDAY CAMP PRESSER! Next NEWBIE PHILS CATCHER RAMOS: 100 PERCENT PLAYING BY MID-AUGUST!